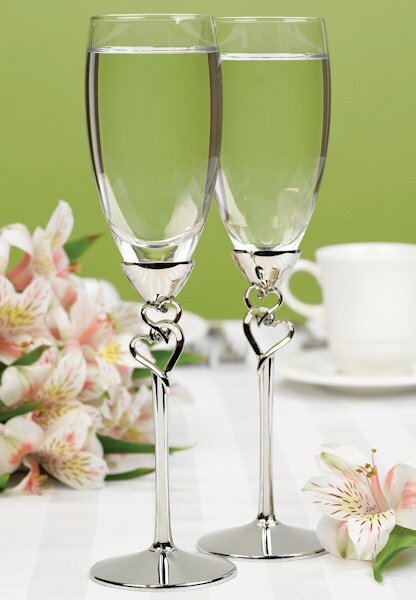 With entwined hearts to symbolize the joining of two lives, these stunning silver-stemmed flutes are a beautiful way to toast your day! This charming set of toasting flutes will certainly be a cherished keepsake to be used each year as you celebrate your love. 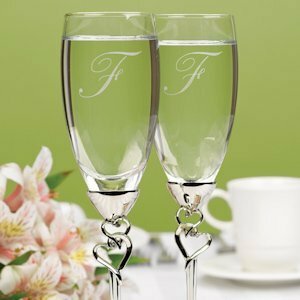 The 10" tall, elegant flutes can be optionally personalized with your choice of a single initial or the bride and groom's names and wedding date. 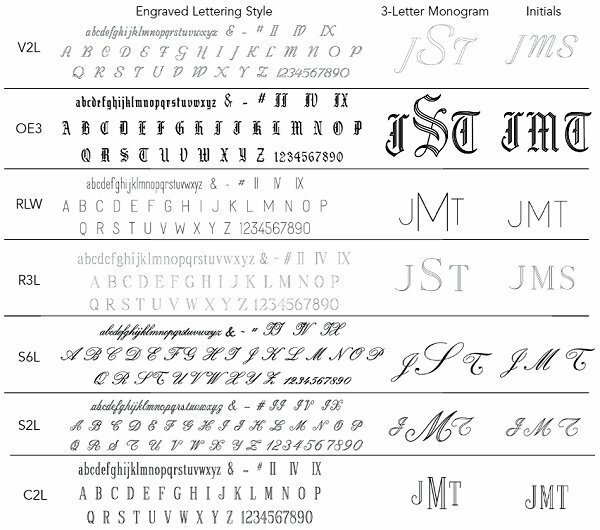 You may specify your chosen engraving style along with the font style at checkout. 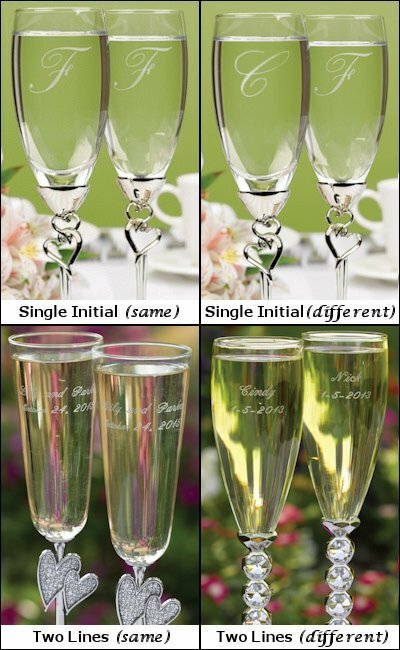 Note that we also sell the matching cake serving set separately. Do these flutes come with a case to store them in? 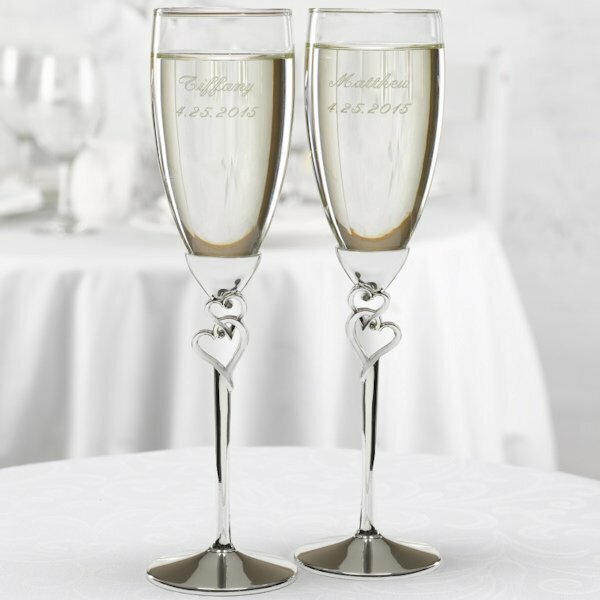 These Toasting Flutes with Silver Entwined Heart Stem are ship in a plain corrugated box with foam and how you store them is totally up to you.